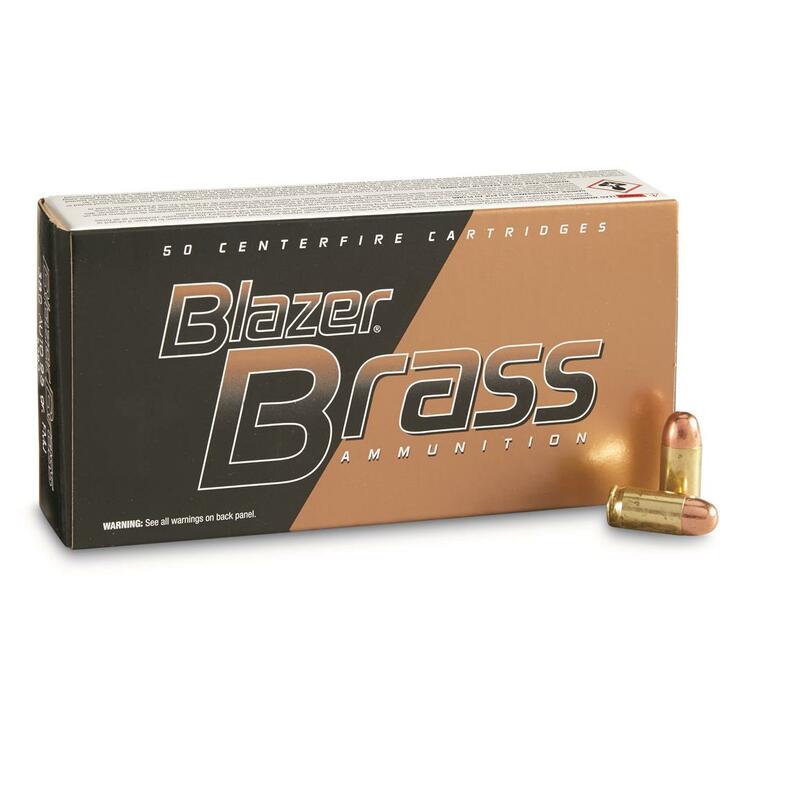 CCI Blazer Brass, .380 ACP, FMJ, 95 Grain, 50 Rounds is rated 4.9 out of 5 by 16. Rated 5 out of 5 by Brunoq from Trusted Have never had problems with Blazer Brass, can rely on this ammunition. Rated 5 out of 5 by Lee Livesey from Great ammo, great price. SG always delivers exactly as promised and always on time. This stuff feeds and shoots great. I have a Kimber Solo 9 and it's finicky about ammo. It eats this stuff all day long. No hiccups. Rated 5 out of 5 by JohWhite from Good price plus good service equals great experience! If find Blazer Brass to be affordable but very reliable. Rarely do I experience a FTF when using Blazer Brass. I highly recommend it to target shooters. Rated 5 out of 5 by Glenn N Fla from Great Price.....Great Ammo!! CCI Blazer Brass .380 ACP FMJ 95 Grain I have always liked CCI ammo. It is clean and accurate! Rated 4 out of 5 by paul from good price I have not used this ammo yet, but reviews look good....we will see this weekend. Magtech® Handgun Ammo: accurate and reliable.